You could be in need of a detox!!! 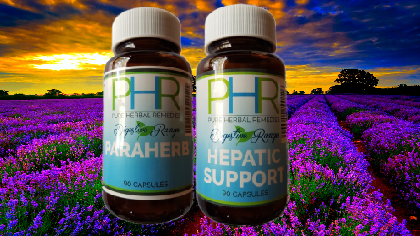 Hepatic Support not only works on regenerating and detoxifying the liver but also helps to get blood flowing through the liver. Sometimes there is stagnation in the liver, which can cause menstrual problems or deficiency of iron in the blood. Liver stagnation is often associated with anger, resentment and other painful emotions. REMEMBER: Make sure to drink lots of water! This Combo Discount is valid only for the next 7 days!! !